What does the Shed Offer? Construction of Possom Boxes is well under way. 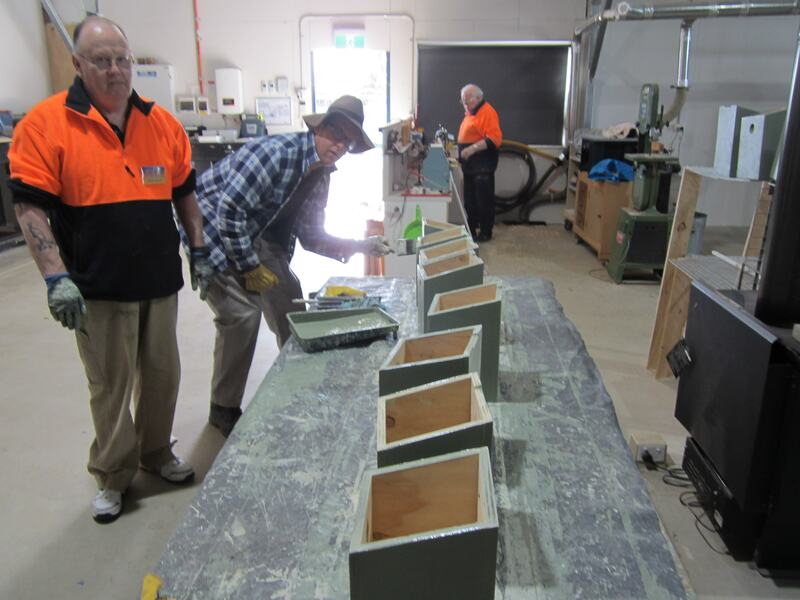 The Wodonga Men’s Shed currently has a relatively small but well equipped workshop. It is adequate for the existing number of members that participate in workshop activities, however with significant growth in overall numbers anticipated our workshop will also need to develop further in terms of space and equipment. As you can see from the image below, our Shed has a well equiped workshop. The operation of the workshop is governed by standard workshop health and safety procedures and the onus is on all members to ensure safe work practices are adopted by all members. A discussion took place over coffee In March 2008 with Alec Thompson and Ken Farrar to discuss the possibility of commencing a Wodonga Men’s Shed (WMS). In February 2009 the inaugural meeting of the WMS was held 80 people interested parties attended, as a result the initial management committee was formed comprising of Ken Farrar (Chairman), Ron Lutton (Secretary), Robert Voss (Treasurer). In early 2009 with the support of the Wodonga Council and Upper Murray Family Care the WMS were offered the use of Emerald House located at 20 Emerald Avenue West Wodonga. In June 2009 the WMS became an incorporated body and later that year received a grant of $8500.00 from the Wodonga City Council to erect a workshop in the backyard of Emerald House. With an expanding membership base of 60 members the existing facilities is no longer viable. In January, 2016 a new shed fundraising committee was established to raise the funds required to build a purpose built shed on land to be supplied by the Wodonga Council. In September, 2016 the Wodonga Mens Shed (WMS) secured a grant from the Victorian Government for $60,000 under the “strengthening mens shed program”. In December 2016 WMS secured a lease with the Wodonga Council over land located in Jamieson Court West Wodonga. The Fundraising Committee in January 2017 embarked on the second stage of the Project being the Building Fit Out Lanscaping and Equipment purchase. Following the success of our second stage Fundraising Program the New Purpose Built Facility at Jamieson Court is nearing completion. The re-location from the existing site at 20 Emerald Avenue is scheduled for the End of October 2017 with the Official Opening at Jamieson Court set for early December 2017. The modern Men’s Shed is an updated version of the shed in the backyard that has long been part of the Australian culture. Men’s Shed are springing up all Australia and in more recent times the movement has spread to several overseas countries. 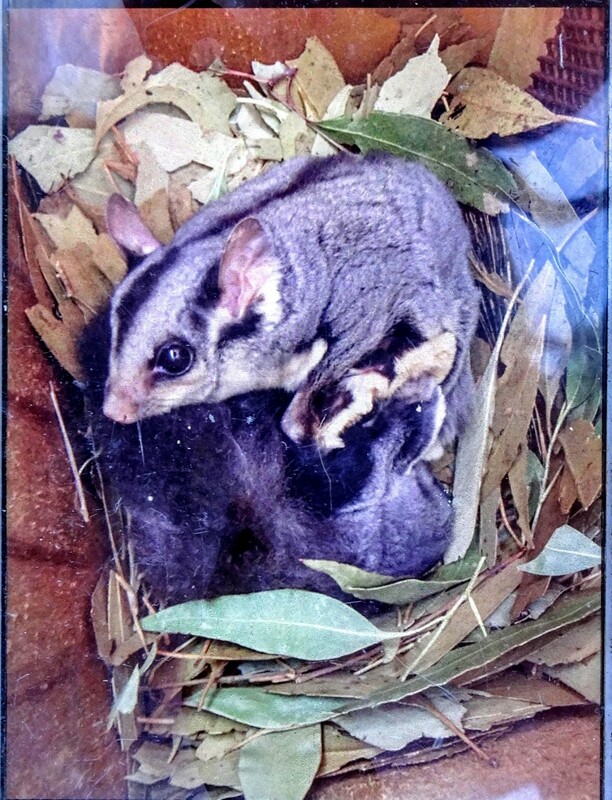 If you look inside a Men’s Shed you might see a number of men restoring furniture, perhaps restoring bicycles for a local school, maybe fixing lawn mowers or making a kids cubby house. Over the years, men have traditionally not talked about feelings and emotions. There has been little encouragement for men to take an interest in their own health and well-being. Probably because of this, many men are less healthy than women, they drink more, take more risks and they suffer more from stress, isolation, loneliness and depression. Becoming a member of a Men’s Shed gives a man an environment where he can find solutions too many of these situations in an atmosphere of old-fashioned mateship. Members of Men’s Sheds come from all walks of life, the bond that unites them is that they are men with time on their hands and the fact that one or more of a broad range of issues that could be impacting on their lives. Because men don’t make a fuss about their problems, such problems have consistently been either ignored or swept under the mat by both our health system and our modern society. It’s time for a change and the Men’s Shed movement is one of the most powerful tools available in helping to realise that assistance is available and that they are valued and valuable members of our community. In April 2007 The Australian Men’s Shed Association (AMSA) was set up to act as a resource centre for all Sheds and to promote the idea of Independent Community Men’s Sheds. The Association represents and promotes the Shed movement, and act as a communcations hub using a website and regular newletters.